Nashville, Tenn. (Jul. 10, 2018) – FCM Songs and GRAMMY® winner Seth Mosley are announcing the recent signing of Sweden-based singer, songwriter Tommy Iceland. Tommy's catalog already includes cuts with major artists like We Are Messengers, Stars Go Dim, David Leonard, Jesus Culture and Chris Tomlin. 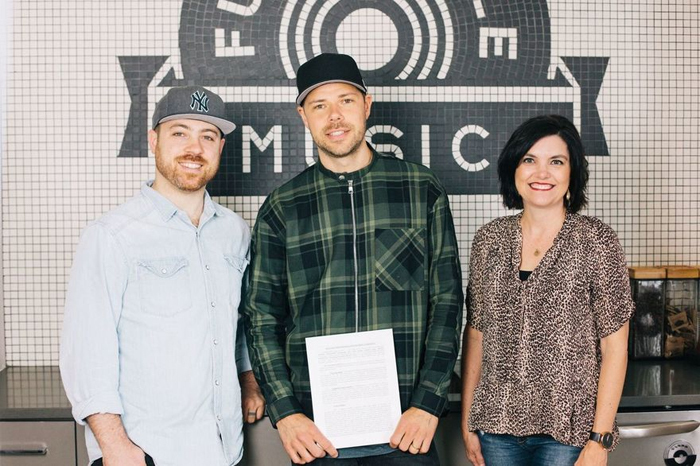 He will join FCM Songs which is home to notables like the GRAMMY® nominated Matt Hammitt. In addition to FCM Songs, Full Circle Music serves as a hub for creatives with The Full Circle Music Academy, FCM Records and more spearheaded by a team of GRAMMY® winning producers and songwriters. "Part of our mission for Full Circle Music is to empower artists and writers from all around the world, not just in our backyard,” shares Mosley, President of Full Circle Music. “Signing Tommy is a big step forward for us in becoming an international company and the songs that he is already writing bring such a fresh life and sound to what typically comes out of a music hub like Nashville. We are so excited to partner with Tommy and his family in this new season!" Born in the North Atlantic haven of Hafnarfjörður, Tommy fell in love with music at an early age. After moving to Sweden, Tommy became a part of the local church where he soon began singing, playing guitar and drums on a regular basis. He discovered his calling when a deep passion was found in worship. Later he became a part of Hillsong Sweden where he serves as a worship leader. "I couldn't be more excited about seeing what's in store for this God-made partnership,” shares Tommy. “I love the fact that I get to work with people who are not only good friends but also feel like family!"